The Kuhn Rikon 12-Quart Duromatic lives up to any expectation as a result of its advanced development for safety, brilliant design, long-lasting materials, top rated quality and simplicity. Should you feel that using a pressure cooker is a messy, noisy and boring process like it was few generations back, then you better think again. This is without a doubt among the greatest kitchen equipment out there in the pressure cooker market. 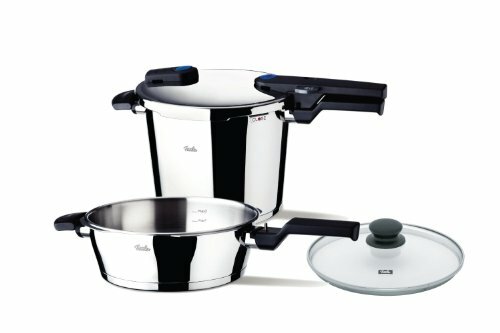 Quality Swiss-made unit that will reduce your cooking time by 70%. Moreover, it will also help you to save money on electric and/or gas bill and will leave just a small carbon trace in the environment. 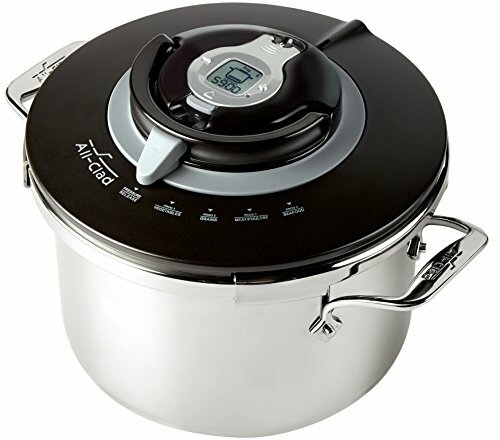 It is multipurpose pressure cooker, ideal to prepare rice, meat cuts, vegetables and beans. The process of pressure cooking preserves essential nutritional elements in the food and assists you have your meals healthy and also helps you to keep your body healthy. It is built with the cutting edge safety functions and modern design. Regardless of the mood you are in for dinner tonight, this pressure cooker will cook delicious meal for you over and over again. It includes endless opportunities to switch between pressure and traditional cooking using 2 cooking containers and 2 complementary lids. For anyone who is short on space and would like to do more with fewer kitchen tools, the Kuhn Rikon 12-Quart Duromatic is definitely something you should investigate further. 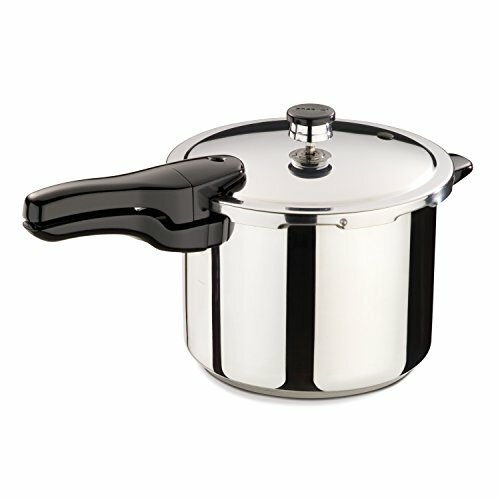 The Kuhn Rikon Durmatic has a very attractive and unique design and it doesn’t resemble to any other pressure cooker in the market. The coned top is attractively moderate with only a small number of concentric circles and a small nub in the middle which shows pressure signal. The universal base is a straightforward cylinder, in contrast to all the roundness, the handles have well-defined angles and smooth lines as well. It is extremely easy-to-use and all you have to do is just put the lid on and the pressure cooker will do the rest. So basically you get a plug-and-play unit because there are no other buttons or settings to deal with. Easily remove and clean the pressure valve. One of the cool features is the so called intergraded fill-lines that are marks inside the pot to indicate the measurement, for example 3/4 full for regular pressure cooking and 1/2 full for cooking bean and grain type of food. Then there is the metal construction that provides durable pressure cooker that will last for a long time. Everything is metal, the regulator for pressure and the housing are all metal. Does size really matter? Well, if a pressure cooker is almost full, let’s say by 2/3rds, then there is not enough space in the pot for pressure building. As a result of this 2/3rds rule, it is almost all the time better to use a bigger pressure cooker. The Kuhn Rikon 12 quart is really as big as you need. 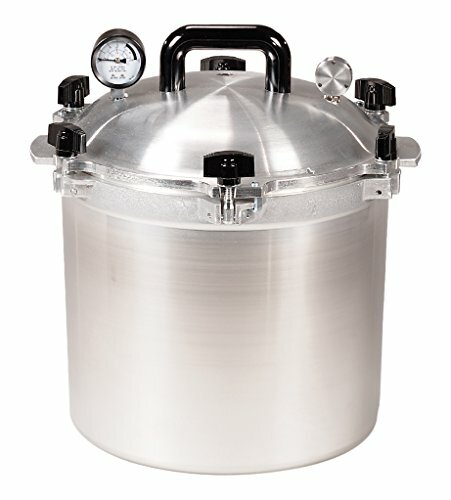 Let’s say you are using a 10 quarts pressure cooker which is 2 quarts smaller than this one, meaning that the extra 2 quarts give you 1 1/3 quarts of extra space to cook and build pressure. You can easily throw 2 gallon bags of froze chicken wings and you will notice that it could actually take maybe 2 more bags. You are able to stuff the pot with a lot of food without ever having to worry about space. This is ideal if you have a big fiesta in your house and you need to prepare meal for a lot of people in a short amount of time. Space is not only about volume because width is equally important. Most of the other pressure cookers that are available today are very narrow. The reason is probably that it is easier to manufacture them narrow. But the Kuhn Rikon team did things a little differently and made the pot a whopping 11 inches wide. This extra space can do wonders, when you are browning. 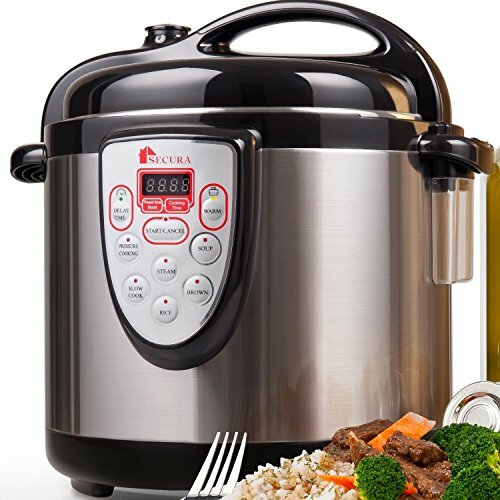 Current owners agree that one of the biggest advantages of this pressure cooker is its size and the capacity to cook large chunks of food with plenty of space to add all the ingredients that you want and build up enough pressure to deliver top results. It’s immensely important for you to read the instructions manual thoroughly before you use it for the first time. In case you have cooked with a pressure cooker before, you know that the approach with a new modern pressure cooker will be very much the same but every company makes their products differently, such as specs and design may vary. Therefore, it is always best to invest time to learn how you pressure cooker works. If you happen to be a pressure cooker beginner, have in mind that there are so many cookbooks available online and all you have to do is a simple Google search. The pot is constructed with a durable stainless steel so cleaning is extremely easy. Although it says in the manual that it is dishwasher-safe, I would recommend to hand wash it with soapy water instead. You don’t have to think about cleaning the primary valve unless some food passed through the valve. In that case, you would have to take out the valve and clean it with water. Also, you don’t have to think about cleaning the secondary safety valve either as the user manual states it’s unnecessary. You will find detailed instructions on how to clean and use the pressure cooker in the user guide. To help you even more cooking, you will get a steaming trivet made out of stainless steel. All you have to do is to secure it in the pot and the food will never be stuck to the bottom and leave burn marks. It is hard to go wrong with Kuhn Rikon‘s pressure cooker. Like with everything, it really boils down to your personal cooking preference and style if you should go for the Rikon brand. 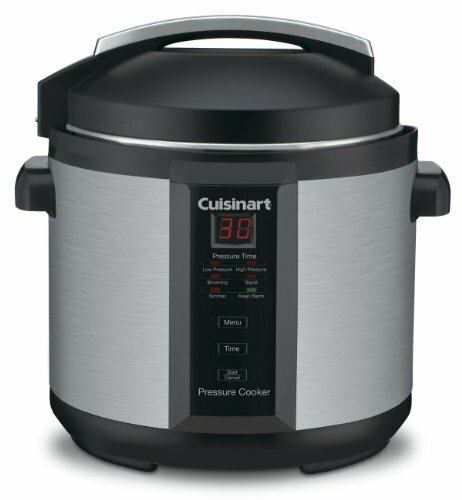 Generally, users are extremely happy with this product and they would favor this brand over any other pressure cooker available. Some of us take great pride in having the greatest in kitchen equipment and would not mind investing a bit more to have the very best cooker. It weighs only 13.2 pounds in total. It will operate smoothly and quietly in your kitchen, built with great quality in mind. Additionally, you will get excellent quick recipe book that will literally blow you away with delicious recipes. Overall, this unit is totally worth every penny, packed with features, easy to use and will last you for many years to come.